As you are planning where to take your brand of product in 2016, there’s probably reams of customer insights – from surveys, interviews, focus group, emails, Net promoter verbatim feedback to look at. 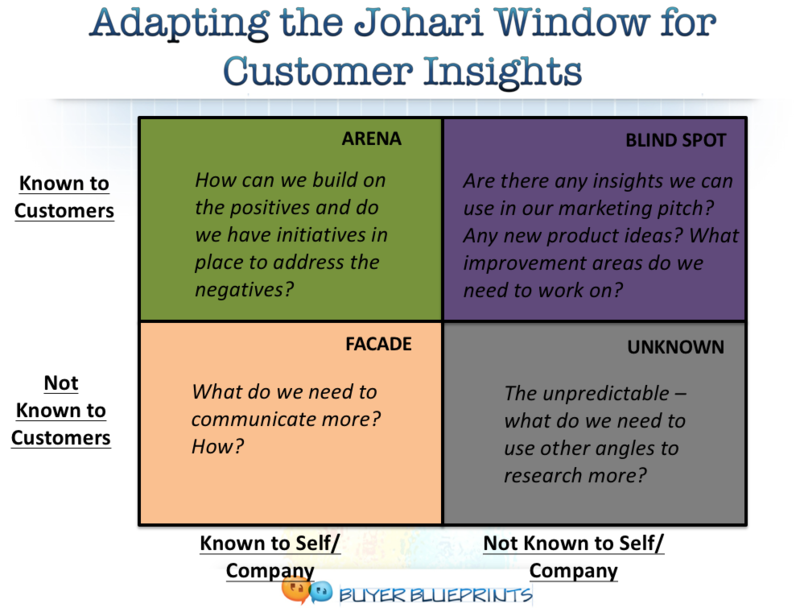 I have found that using the Johari Window to classify customer insights can offer surprisingly actionable results. 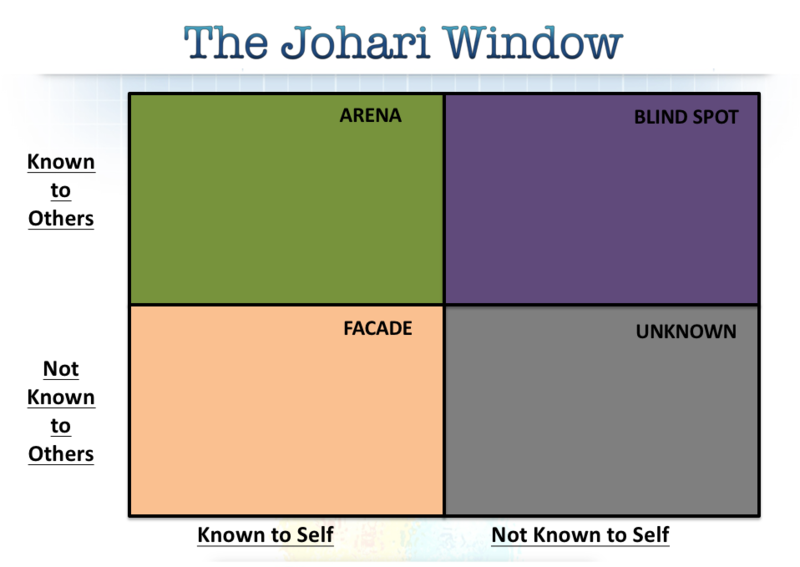 The Johari Window, developed in 1955 by American Psychologists by Joseph Luft and Harrington Ingham, (hence the name Johari), has long been used in leadership development. In a nutshell, it classifies what you know about yourself and what others know about you into a 2X2 framework. What can we build on? How? Do we have initiatives in place to address the negatives? Which ones do we need to address? 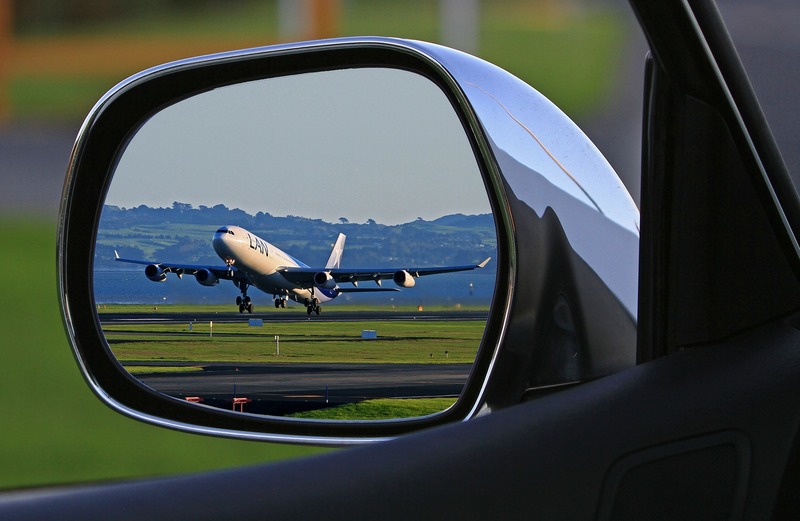 The word blind spot often has a negative connotation, but in the Johari Window what’s known to your customers but not to your company can be a gold mine for ideas. Are there any positives we did not know about? Any positioning product opportunities that we can leverage? For example, customers may be using your product for a need you did not know about. Any positioning ideas? For example, your customers might be raving about your customer service, but you have never included it in your sales pitch. What are the improvement areas I did not know about? What are the action items? Are there anything (product features for example) you considered high priority but are not bothering or being used by your customers at all? If so, do you need to reallocate your resources? Are there any aspects of your brand or your product that you need to communicate more? What’s the ticking time bomb – known to you but not to your customers, that you can proactively address? Look over the objectives you had for your customer insights work. 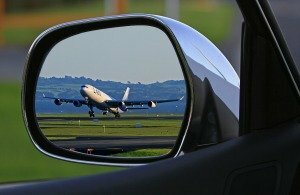 Discuss your roadmap and strategic initiatives and what’s on the framework already. What’s unknown? What do you need explore more and how? At the end of this exercise you should have a Blueprint or action plan that spans all customer insights. Let me know your thoughts on the comments below. This can be done as a team brainstorming exercise or for your own analysis. Get all the verbatims, insights, survey scores and other customer feedback together. Also include any objectives you had set out for your customer insights exercises. Then create a list – team members can do it individually or you may pull it together from product or pitch documents – on what you think are the key features or descriptors or benefits behind your brand. Add in what you think are the biggest weaknesses or risks. Using sticky notes and flip charts, good old pen and paper or the much less effective powerpoint and bullet points, create your Johari Framework using ‘Known to company’ as a proxy for ‘Known to self’. Repeat the exercise the list of descriptors from your own team. Thoughts? Questions? I would love to hear from you. If you enjoyed this article, I would love to hear from you.